2015 marked the 25th anniversary of Audio-B, which has issued in excess of 30 recordings featuring some of the finest British and international jazz and classical musicians - from revered names such as Tony Coe, Chick Corea, Northern Sinfonia, John Dankworth and Cleo Laine to up-and-coming players such as Alcyona Mick, Kate Williams, Christian Garrick, Carl Herring and Magdalena Filipczak. 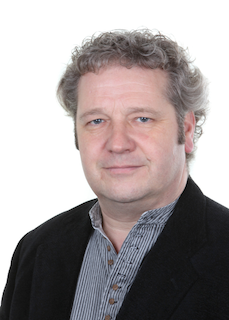 Proprietor and double bassist Malcolm Creese started the label (originally as 'ABCDs') in 1990. He produces the recordings and he appears as a player on several of them. Creese's groundbreaking trio Acoustic Triangle has released four albums on the label, and his two long-term collaborators, Tim Garland and Gwilym Simcock, feature on several others, including Garland's extraordinary orchestral album 'Celebrating Bach' (ABCD 5025) and his innovative collaboration with Chick Corea - 'The Mystery' (ABCD 5020). The first CD released on the label was Jazz from the Café by the Jonathan Taberner Trio. New Zealand-born pianist Jonathan built this website and is responsible for maintaining it. His skill was recognised when the label was presented with the award for 'Best Web Site' at the Parliamentary Jazz Awards in 2006. The Matt Wates Sextet, which has released as many as ten CDs on Audio-B, is also celebrating its 25th anniversary this year. Audio-B CDs are professionally recorded and engineered to the highest standard, and are often praised in reviews for their fidelity. Creese's obsession with high quality sound resulted in Audio-B being hand-picked by Sony to produce two of the earliest jazz releases in Super Audio (DSD) format - Acoustic Triangle's 'Interactions' and 'Catalyst'. Audio-B's packaging and design is high quality too. Not many musician-led labels survive for a quarter of a century, and those that do are generally not lucrative. "It's never made any money" Creese admits, "but I think it's helped a few people's careers, and some great music which would never had been heard is now preserved forever." Hear Malcolm interviewed on BBC Radio 3's 'Jazz Line-up' speaking about the 25th Anniversary and the history of the Audio-B label. (The interview starts eighteen and a half minutes into the programme). Magdalena Filipczak is an outstanding young violinist who is destined to be a leading virtuoso. Born in Poland, she now resides in London and is building a worldwide reputation as a soloist of the highest calibre. Essence of Violin features Magdalena, with regular duo partners Agnieszka Kozło on piano and Martin Fogel on guitar, playing a balanced programme of works by Britten, Elgar, Lutosławski, Piazzolla, Saint-Saëns, Wieniawski and Szymanowski. The playing is sensational throughout and the sound quality is superb. There are well-written notes and the packaging is beautifully designed. To order your copy, or to find out more, please click here. "Not many solo recitals are as eclectic as this; you don't expect to find Elgar, Piazolla and Lutosławski sharing disc space. As a calling card for a young violinist, Magdalena Filipczak's Essence of Violin is a treat. She's a musical chameleon, quickly getting under the skin of whatever she's playing. There's a consistency of approach too; the less virtuosic salon pieces treated with as much care as the showstoppers. A Saint-Saëns caprice has all the fireworks anyone could want. To calm things down, Filipczak follows it with humane, sweet-tempered performances of Elgar's Chanson de Matin and Salut d'amore. Two movements from Piazolla's Histoire du Tango sound suitably idiomatic, and they're beautifully accompanied by guitarist Martin Fogel. He deserves a disc to himself; the veiled intro to "Café 1930" is exquisite. "We get Wieniawski's expansive Fantaisie Brillante, based on themes from Gounod's Faust. Cheesy, yes, but magnificently done, with sensational piano playing from Agnieszka Kozło. Rarities include an extract from Szymanowski's ballet Harnasie; its haunting opening followed by a vigorous, foot-stamping folk dance. I'd never heard Britten's 1937 Reveille before, an engaging study inspired by the Spanish violinist Antonio Brosa's difficulties in getting up each morning. 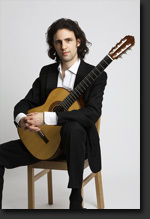 Over an insistent piano accompaniment, Filipczak's solo line slowly comes to life. We're tricked into thinking that she's gone back to sleep at the close, before Britten's brusque closing chords. A glittering chunk of late-period Lutosławski closes proceedings. All immaculately recorded and well-annotated; an anthology to suit all tastes." "Magdalena Filipczak opens her recital Essence of Violin (Audio-B, ABCD 5031) with a glittering performance of Ysaÿe's famous arrangement of Saint-Saëns's Etude en forme de valse, in which the various multiple-stoppings and thrown harmonics are offset by beguilingly phrased insinuations of ballroom delight. Her plaintive tone (coloured by a medium-fast, narrow vibrato) and temporal suppleness are particularly well suited to Elgar's world of autumnal reminiscences (Chanson de matin and Salut d'amour) and she also proves a captivating exponent of Piazzolla's twilight cool (Bordel 1900 and Café 1930) with guitarist Martin Fogel, before whipping up a virtuoso storm with Wieniawski's notorious Faust Fantasy (after Gounod), in which gifted pianist Agnieszka Kozło follows her every inch of the way. Also included are hauntingly atmospheric performances of three Britten rarities - the Reveille concert study and the Lullaby and Waltz from the Op.6 Suite." 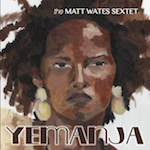 The Matt Wates Sextet, which has been producing first class, accessible modern jazz for over twenty years, has just released its tenth album on Audio-B, Yemanja. The band features some of the most respected musicians in British jazz, including trumpeter Martin Shaw, drummer Matt Home, tenor saxophonist Steve Main and pianist Leon Greening. Top alto saxophonist Matt Wates provides most of the compositions and all of the finely-crafted arrangements. Yemanja is now available on CD. Please click here for further details and to place your order. 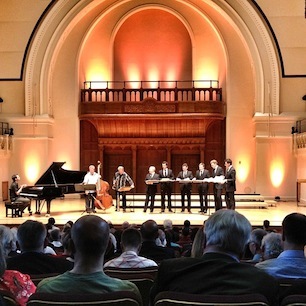 For two concerts in June 2012, The King's Singers joined forces with Acoustic Triangle - Malcolm Creese (double bass), Tim Garland (saxophones) and Gwilym Simcock (piano) - to pay tribute to two legendary musicians, Richard Rodney Bennett and George Shearing, in concerts at Cadogan Hall in London and St. John the Evangelist in Oxford. "A sparkling technique and an amiable musicality that radiates warmth"
Herring plays with fluency and assurance throughout. 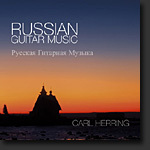 This Audio-B release of solo Russian guitar music is performed by Carl Herring, arguably the finest classical guitarist of his generation. The recording features music by Glinka and Tchaikovsky as well as lesser known Russian pieces, including some previously un-recorded material. The playing is extremely fine and the recording quality is first class. Click here for more details or here to order your copy. A beautifully recorded CD is available from the Audio-B web shop featuring the music of JS Bach, Igor Stravinsky and Tim Garland, played by one of the world's great orchestras - Northern Sinfonia. 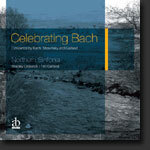 The CD celebrates Bach's extraordinary influence which has endured for three centuries. Tim Garland shows his extraordinary versatility, not only as an important contemporary composer, but as soloist (on soprano saxophone) in two of Bach's oboe concertos and one of his own. Many Audio-B recordings are now available from iTunes. Click on the links on each CD page to buy the CD or download from iTunes.